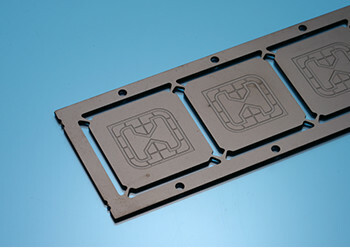 We established the production systems　which are able to handle various plating types. Furthermore, we also have the　selective Ag plating line for leadframe. 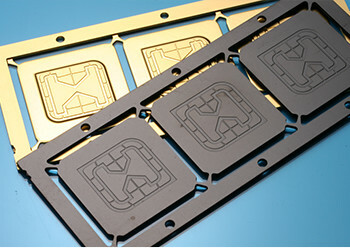 We can provide consistent service from　etching to selective Ag plating and downset process. 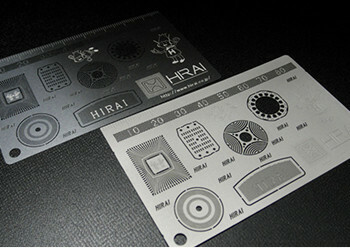 Full plating, Au, Ag, Cu, Ni, Pd, Sn plating and selective plating are available. 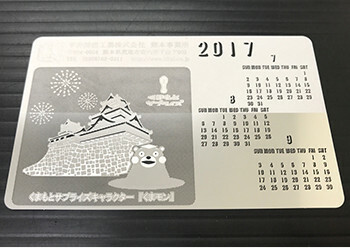 It can be used to make the metal surface dull and textured surface which improve adhesion with resin.This process is also able to remove edges and make them smooth. This process make the stainless steel surface smooth with brightness.Application of this process has many ways such as “Want brightness” or “Want to remove roughness of material surface” etc. 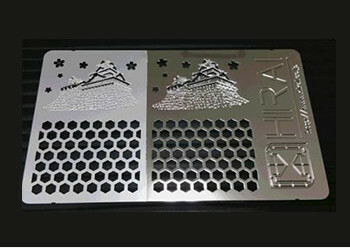 Material have more luster than original material surface by chemically corrode.It can be used for removing burrs of stamped parts.This process is FAI only. Light shielding is made by making material surface rough.This process can expect anchor effect which is necessary for assemble the parts. 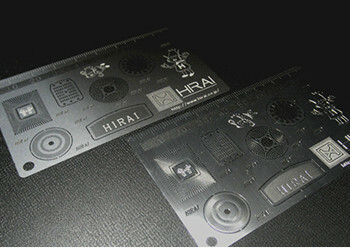 Black oxide layer is formed on metal surface. It is effective for antireflection and improvement of durability. This process is available for both SUS series and Cu series. Surface brightness can be increased by adding blasting process on the black oxide surface.